← Did our biosphere emerge from a semiosphere? Modern science is seeking a Grand Unified Theory or “Theory of Everything” (TOE). They believe that they can obtain such a mastery of science by unifying the four fundamental forces—gravity, electromagnetism, nuclear strong force and nuclear weak force. As things presently stand, gravity is the holdout and is not cooperating. This is why today’s physicists are not yet able to satisfactorily unify quantum mechanics with Einstein’s General Relativity theory—the two main pillars of modern physics. Not only do some physicists believe that not all of the four identified fundamental forces are fundamental (like nuclear weak force) but even if they succeeded in such an attempt, they would fail to formulate a universal theory of causal process, which would include nature’s endeavor toward self-organization, bio-complexity and the emergence of beings with intelligence and consciousness. A Theory of Everything should include everything! In other words, what unifies things on a fundamental level should unify things at every level and scale. This level of fine-tuning would boggle the minds of natural scientists. Scientist/theologian Emanuel Swedenborg offered potent clues to how we should formulate such a universal theory. He called it the Circle of Life. This model of process is discussed in both his scientific and theological writings. It is so universal that it applies to the dynamical processes in both the physical universe and the non-material spiritual world! What can immediately be teased out of this circular (non-linear) model of universal process is that it anticipates Planck’s Constant—that all action comes in wholes and these whole units of action have the same formula for measurement as does angular or circular momentum. Swedenborg claimed that angelic perception is different from scientific observation (and reductionism) in that it instinctively sees all things in terms of comprehensive wholes. Angels can instantaneously grasp how all things in the created universe are interrelated and unified into coherent and holistic units. These interrelated and interconnected units of circular process are observed and recorded in the biblical vision of Ezekiel as “wheels within wheels.” In fact, Swedenborg maintained that these circular units of orderly process are woven into the very fabric of God’s Holy Word! In my new book, Proving God I have offered rational insights into how Swedenborg’s Circle of Life can ultimately unify science and theology within a lawful and scientifically plausible model (with new revelations about gravity). This entry was posted in god, Reality, religion, science, spirituality, symbolism, unity and tagged angelic perception, “Proving God”, Bible architecture, causal process, Circle of Life, Grand Unified Theory, gravity, swedenborg. Bookmark the permalink. 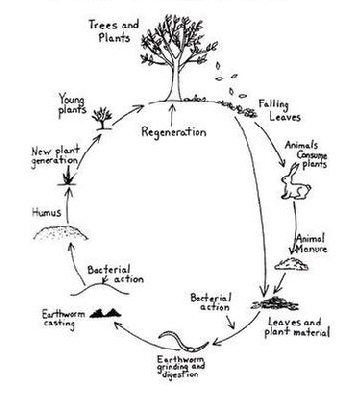 8 Responses to Swedenborg’s “Circle of Life” is the Theory of Everything! There is no reason that a putative “theory of everything” should conveniently explain every phenomenon in the universe. Even in its strongest, most reductionist form a TOE would predict all phenomena only in principle. Glad to hear from you again! I am of the belief that it will take fundamental new kinds of laws to be discovered for science to advance to a more appropriate model of reality and causal process. I suspect I will have to wait for the results of the Hadron Collider before scientists start to wonder if they need to begin re-thinking things. “Let a simple example serve for illustration,” as Swedenborg was wont to write. Suppose you’re bored, so turn on the TV. You’re also hungry, but don’t feel like eating, so turn to one or another food show. A segment comes on about a place in Hawaii which serves dishes of renown, including something called Sashimi Napoleon (which is layers of smoked salmon, Ahi tartare, sashimi Ahi, and crispy wontons with wasabi vinaigrette). You don’t actually say that, only think it. But though it’s only–‘only’–a thought, you find yourself quite capable, not to mention willing to act on it. So you act on it by proceeding to make the necessary arrangements. This basically means warming your husband up to the idea so he can make the necessary arrangements. And so, eschewing the fact that you live but a few miles from the Atlantic Ocean and can dig clams for yourself for free, you fly nearly halfway ’round the world so you can pay to eat the raw fish you saw on TV. I’m guessing here, but it would seem that in one sense ab was going to Maui, ba was returning from Maui, and ih encompasses the totality of our enjoyment of the various things we did in Maui. In another sense, ab was (while we were already in Maui) going to the Hali’imaile General Store, ba was returning from the Hali’imaile General Store, and ih was (possibly) our enjoyment of the Sashimi Napoleon, or (possibly) the ‘contract’ we entered into (“serve us palatable food, and we’ll pay you money”). When looked at this way, Mr. Young’s odd looking formula is quite flexible, and (if not the formula itself, then the general idea it seems to convey) can be mapped on to an inordinately large number of occurrences. It can help to guide one’s thinking, is what it’s good for. Notice how easily what happened with my wife can be wrapped up in, or subsumed by, the notion of input-process-output. Images and sounds from the TV entered her brain (input), something happened inside her brain (process), and she decided Maui was our next vacation destination (output). o It is known that what is seen with the eyes and heard with the ears is perceived inwardly with man, and as it were passes out of the world through the eyes or ears into the thought, thus into the understanding (for the thought is of the understanding); and if they are such things as are loved, they pass from this into the will, and from the will ([back] by way of the understanding) into the speech of the mouth, and also into the act of the body. AC 10057.2 (AC = Arcana Coelestia, aka Heavenly Secrets, and 10057.2 refers to the subsection of one number within AC (a ‘number’ being sorta-kinda like, but definitely not, a mini-chapter). First, Mr. Swedenborg did not write for twits, i.e., people who tweet. A tweet is limited as to the number of characters it may contain. And, as tweeting is one of many things not foreseen by Mr. Swedenborg, his sentences frequently are in egregious violation of that character limit. Second, he is basically describing what happened with my wife. Images and sounds from the TV entered her brain (A), something happened inside her brain (B), and she decided Maui was our next vacation destination(C). (A) Images (seen with the eyes) and sounds (heard with the ears) entered her brain (were perceived inwardly). (B) Something happened inside her brain (the images and sounds combined to produced something she ‘loved’–a deliciously enticing meal–and that combination in the ‘understanding’, i.e., the intellectual part of the mind, descending down and activated her will, i.e., intent). (C) She decided Maui was our next vacation destination (from her will, i.e., intent, things returned back to her ‘understanding’, i.e., the intellectual part of her brain, which enabled her to voice speech of the mouth–“Let’s go to Maui”–and also enabled the actions of the body–she made preparations for the trip, and we actually went). Third, Mr. Young’s formula can also be mapped on to this. The first process, ab, was the descent from the understanding or intellectual part of the mind to the will, i.e., her thoughts activated some love or intent; the second process, ba, was the ascent from the will, love or intent (ascending is the inverse process of descending) back to the understanding or intellectual part of the mind (which then did the planning), and ih,–“the ‘nonmaterial’ unit of action”–was the actual decision to go to Maui. Fourth, Mr. Swedenborg’s very next sentence following the quote above is, Such is the circle of things out of the world through the natural man into his spiritual man, and from this again into the world. In fact, two sentences later he says that that process just described is a clear example of the so-called “circle of man’s life”. Fifth, After the images and sounds entered her brain (input), the something that happened inside my wife’s brain (process), took place in what Mr. Swedenborg refers to just above as ‘his spiritual man’, i.e., ‘her spiritual person[hood]’. Lastly (though this is getting off the topic somewhat), Mr. Swedenborg was wont to occasionally so ‘defined’ matters, as he does above, that it is clear he saw thinking and intending as spiritual activities. One doesn’t have to believe in God or spiritual realities to be engaged in what he defined as spiritual activities or processes. In fact, atheists mulling over how best to summarily and curtly dismiss some positive statement about an alleged spiritual reality, are very much and unavoidably engaged in what Mr. Swedenborg defined is a spiritual activity. Part of the problem is that many people think of ‘spiritual’ as being something beyond what they are experientially familiar with, and since they are experientially familiar with thinking and intending, they assume (wrongly, according to Mr. Swedenborg) that thinking and intending isn’t ‘spiritual’. Now, after all that typing, I’m due for a break. Think I’ll go get me something to eat. Locally, of course. And preferably cooked. Hmm… maybe the place I’ll go to, and return from (with my appetite satisfied, of course), will be IHOP. Love that strawberry syrup, I do. Thank you for expanding on this transcendental topic. All coherent process is circular because first principles return to first principle – that is, to their center of equilibrium. was in his understanding of a “Holy Quantum Theory”. /Bengt de Paulus wuth fam. Thank you for visiting this blog site and sharing interesting information with my readers! With todays post I got your book Proving God. I enjoy reading it and find your challenging way of combining Science and Religion based on Swedenborg fascinating. I am also a great fan of Feynman and has all his lectures on Physics and quantum theory. honorable to read about this mistreated 18th century giant mind. Did you know about another giant swede Linneus “The Flower and Bothanical King, contemporary with Swedenborg. …as you sow you shall reap! has challenged other of our age. Hope this gave you new some inspirations Edward. /Bengt de Paulis w fam. Thank you for sharing your hearts affection and additional information with my readers! I am pleased that you can obtain a copy of my book from Europe. It is my belief that Swedenborg will become more relevant to this post-modern era if he can also offer valuable insights for today’s scientists!